Interviewing Dirk, @dutchcigars on Instagram and Youtube. His Cuban Cigar reviews reached thousands of views becoming one of the most useful sources to know which one is the perfect cigar for you. 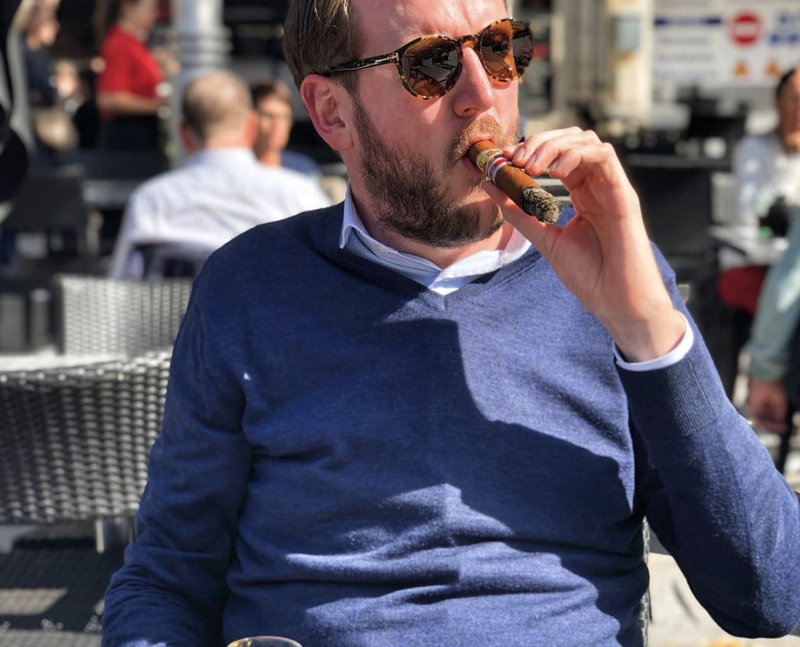 If you love cuban cigars and you are involved in social media, especially on Instagram and Youtube, you will be familiar with the name Dutch Cigars. You have probably come across one of his video reviews. 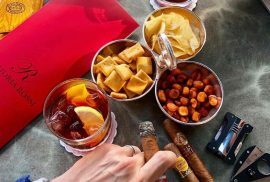 At Montefortuna Cigars we consider this channel essential for people to understand how to enjoy and which factors must be considered when purchasing a Cuban Cigar. We had the chance to interview him and got to know a bit more about him. Find it below! Q – Tell us your first cigar experience. When and why did you start smoking cigars? I started smoking cigar when I was 16 years old because most friends where smoking cigarettes and I wanted to try something else. I always liked the look of smoking a cigar. After smoking my first one I was a fan of it! Q – What was your first cigar? I’m not sure what cigar it was precisely but I started with a classic Davidoff. After that I smoked 1/2 cigars a week for the first year. Q – Favorite moment to smoke a cigar? I love to smoke a cigar in the morning before breakfast with some good coffee. Also after/during dinner. Q – Favorite cigar pairing? Coffee in the morning and rum/whisky later on in the day. Q – A pairing you would like to try soon? Nothing specific on my list yet. I always try to smoke and drink new things! Q – When did you decide to share your cigar experiences and reviews on youtube? The idea started a couple of years ago while smoking cigars with friends. We where joking about it and I had no plan at doing it at all in the beginning because I’m not a fan of being in front of the camera. Q – Tell us a bit more about your life style. Clothing, food, free time, hobbies. I don’t give a lot about clothing and life style. I like good stuff but I don’t really post about it on Instagram. My hobby’s are cars and good food. And I always try to combine that with cigars and friends. That would be something very old like a classic Cuban Davidoff. That is high on my list! I really like the ideas behind it all, with the interviews and articles also it’s a easy site to shop for special cigars. Yes I did! This year I went there for 5 days invited bye Havana club. That was a very special and great experience. Not a lot of sleep but I fell in love with the country so I will be going back soon! Below you will find some of his video reviews. Don’t forget to follow him on Instagram and Subscribe to his Youtube Channel.